It seems that people have been writing about planning for as long as people have been writing. No surprise there. No enterprise, whether it’s assembling the space shuttle or getting dinner on the table, is done well without a plan. 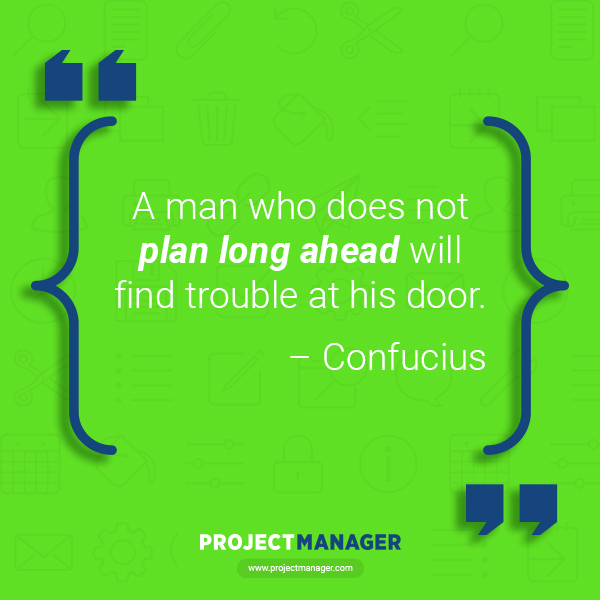 Every project manager, team leader or successful person for that matter, knows the importance of planning. Just try executing a project without it. 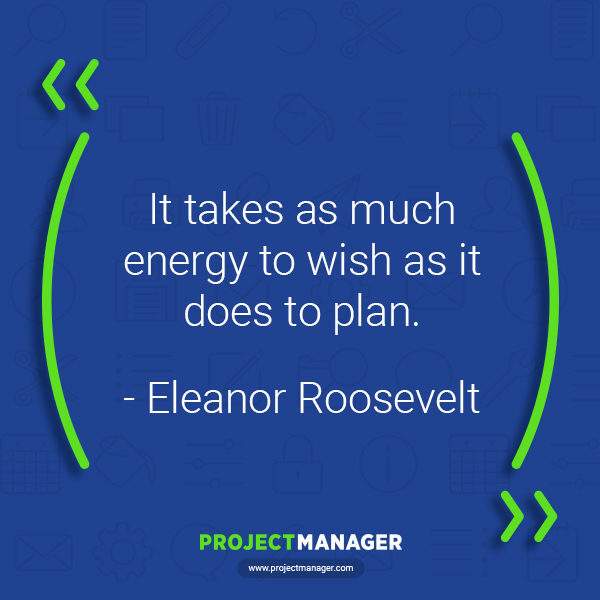 But sometimes it’s easy to get overly excited about a project, causing you to neglect the all-important planning period. 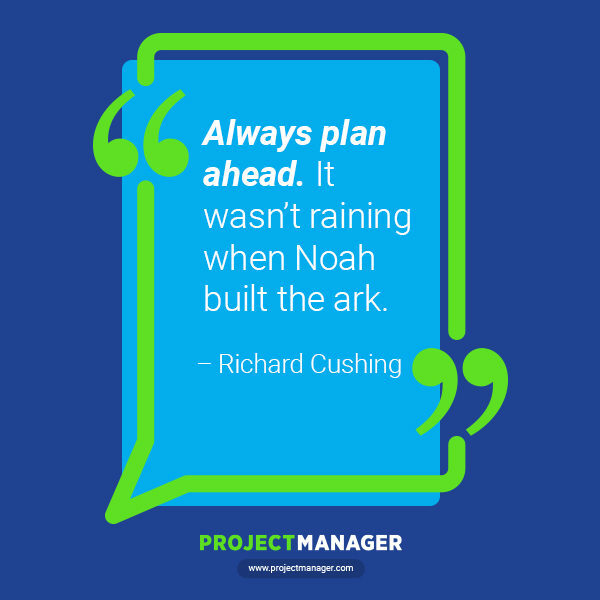 That’s why we collected 25 of the best planning quotes, to inspire you to slow down and craft a thorough plan that will lead you to your goal, whether that be an iPhone app, an artistic masterpiece or a Valentine’s Day dinner. 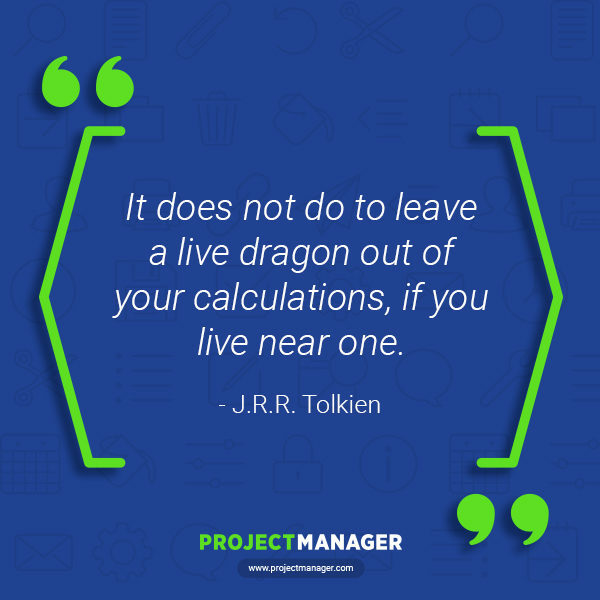 This planning quote from Tolkien’s fantasy classic The Hobbit does what all good quotes should do, speaks to the reader on many levels. This is, of course, a piece of dialogue that moves the plot forward. But Tolkien isn’t merely talking about made-up lands. He’s referring to the necessity of identifying risk in any thorough plan. You can always count on our Founding Fathers for good copy, and none gives better than Benjamin Franklin. He collected them in his Old Farmer’s Almanac and a few probably made their way into some of our fundamental governing documents. Freeing a country from under the powerful arm of a great power is going to take some planning, which Franklin knew was the first step towards success. Sometimes we forget that a plan is document that puts structure around an idea. But without that vision to set the plan in motion, there’s really no point in following through. 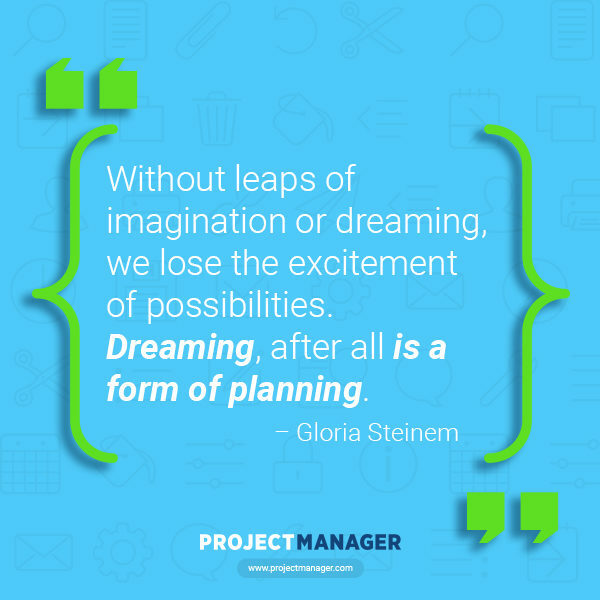 Feminist icon Gloria Steinem understands that before there is a plan, there is a dream. That’s always the first step in any plan. No president had to face as great a challenge as Abraham Lincoln. If he didn’t spend time planning and placing sensitive pieces, it’s likely that we’d be living in a very different country today. Never neglect the time and effort necessary for due diligence before action. Out of the mouth of baseball players often comes great wisdom. The term Yogi-isims was created to describe Berra’s malapropisms and unintentional witticism. But they’re not just for laughs. As simple as the above statement is, nothing is more true. President John Kennedy filled the United States with hope, and then we all know what happened. But when we still were filled with a sense of optimism about the future, Kennedy made it clear that whatever future we had in front of us was due to what we did behind it. 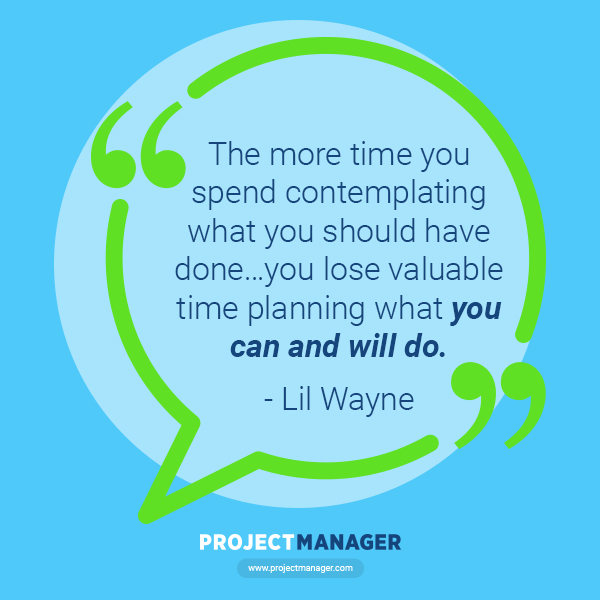 Hip-hop is omnivorous, so it was only a matter of time before a rapper like Lil Wayne spoke to the concerns of project managers. 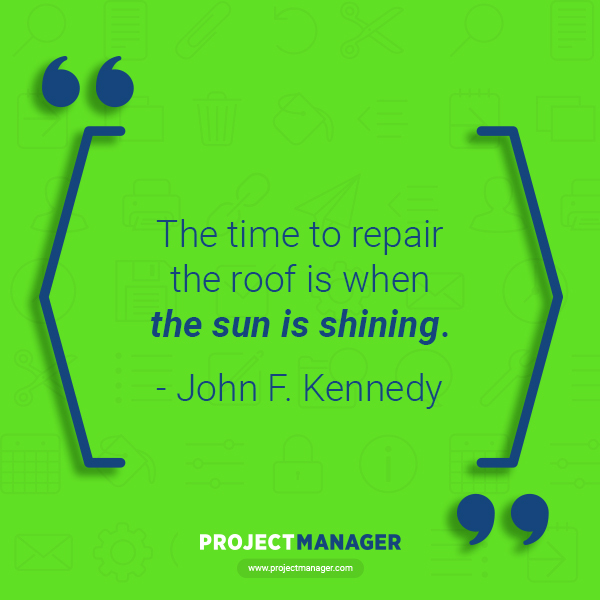 While it’s important to learn from your mistakes, you can get bogged down on the “blame game.” Figure out where you fell; then get back up, and try again. First Lady Eleanor Roosevelt hits on something important here with this quote about planning. She understands the human capacity to wish upon a star, to want something badly and hope that, by some trick of chance or fate, it will be given to you. But things rarely land on your lap, and if they do, they might not be what you want. Plan and you will receive. 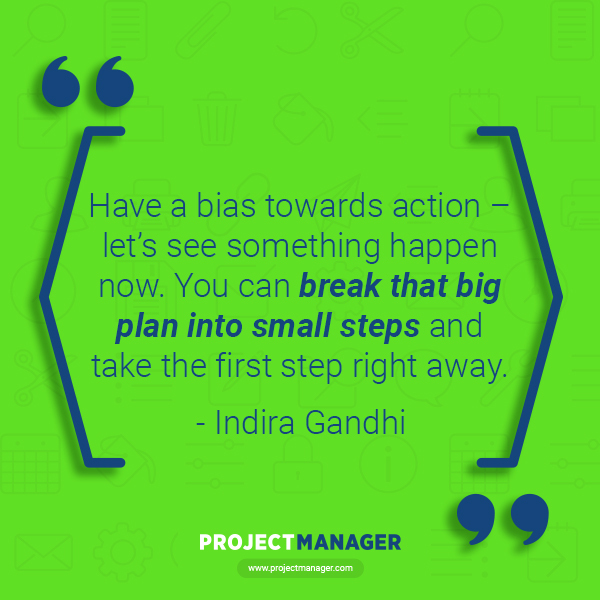 The Indian politician and stateswoman would have made a great project manager. She sees that big projects are made up of small, actionable takes. 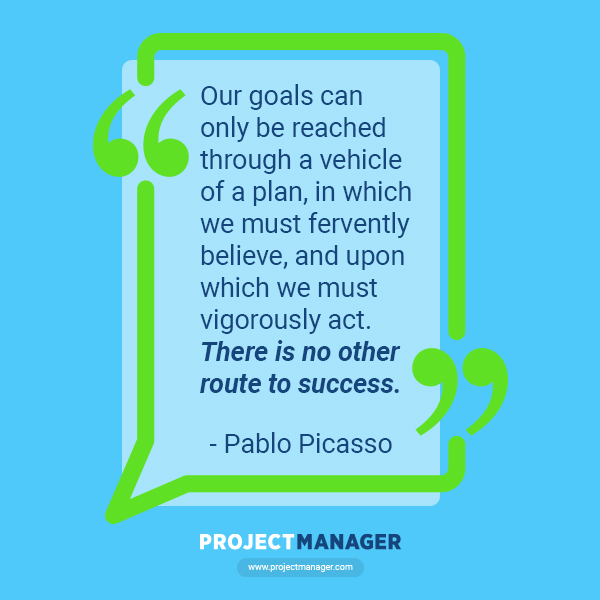 Plans are broken down into phases called milestones, which are made up of tasks, and that way things get done. 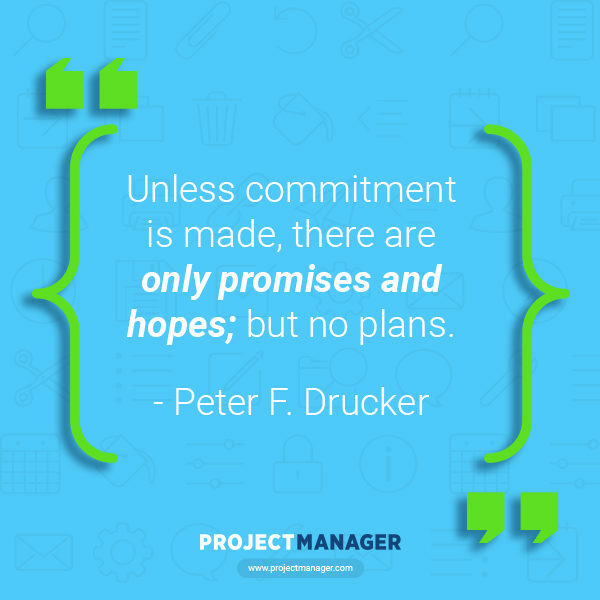 Author and educator Peter Drucker is saying that there is no plan without buy-in from all parties involved. That means from the stakeholders to the team members. 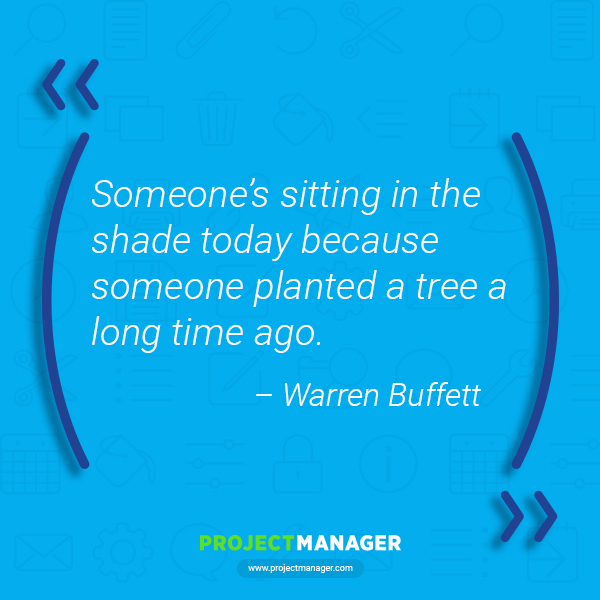 The project leader must motivate and get everyone committed, or else a plan is useless. Few have had a greater influence on more people than Chinese philosopher Confucius. It’s not hard to see why, with such sage sayings as this one. Planning is essential to the survival of everything, from a project to a person. We all must plan or suffer great risk. Richard Cushing, an American prelate of the Roman Catholic Church, shows that regardless of your beliefs, there is wisdom in religious text. 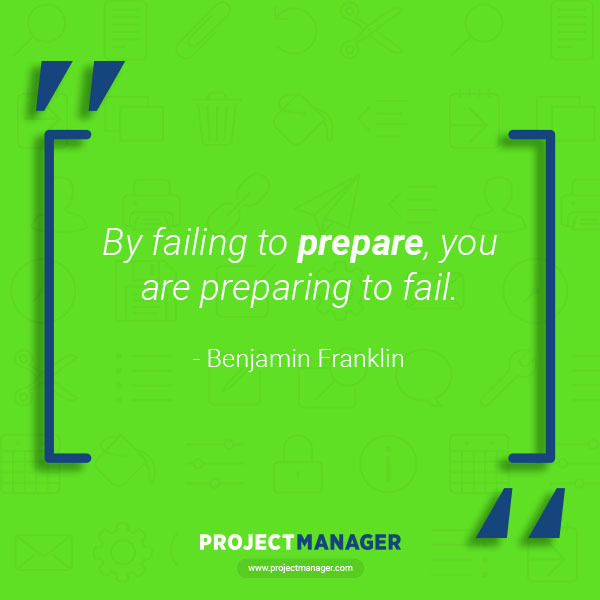 You can find it in this planning quote, which is a perfect example of the necessity of being prepared. Who understands the need to prepare for the future better than an investor, and who is a better investor than Warren Buffett? Plan now and reap the benefits later. That’s true in financial markets or building a skyscraper. It takes time, but the hard work pays off. Even creative types like fabled master of modern art Pablo Picasso knew that inspiration is only a small part of any effort. The creative process is one of planning, failing and planning anew. But those plans are rooted in a belief that they will work. Without that faith, there is no plan that will clear the hurdles that block the progress of any project. Pro Football Hall of Fame coach Tom Landry knows a thing or two about leading a team to success. While scoring points is, of course, how you do it, that’s not as easily said as done. A good coach uses a plan to exploit the talents of this team, and sticks to it – unless it must change. Landry didn’t say that, but I did. Yes, sometimes the fates are smiling on you, and it’s as if everything just falls into place. But you can’t bank on luck. 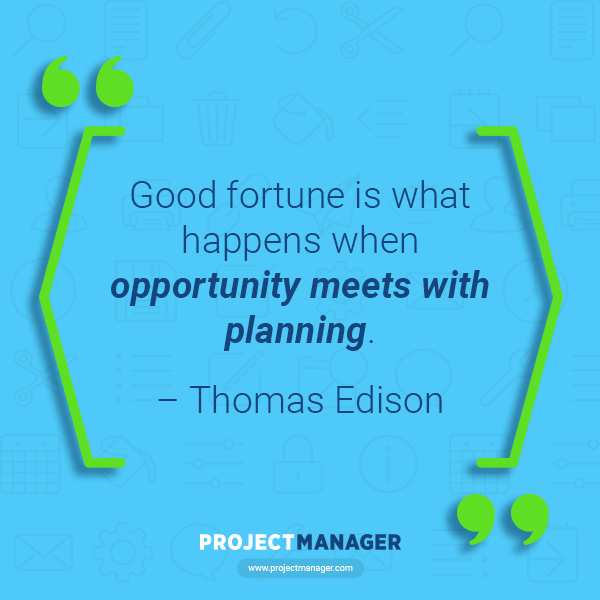 Inventor Thomas Edison saw that while opportunity is important, if you’re not prepared for it by having a plan to take advantage, then that opportunity will pass you by. 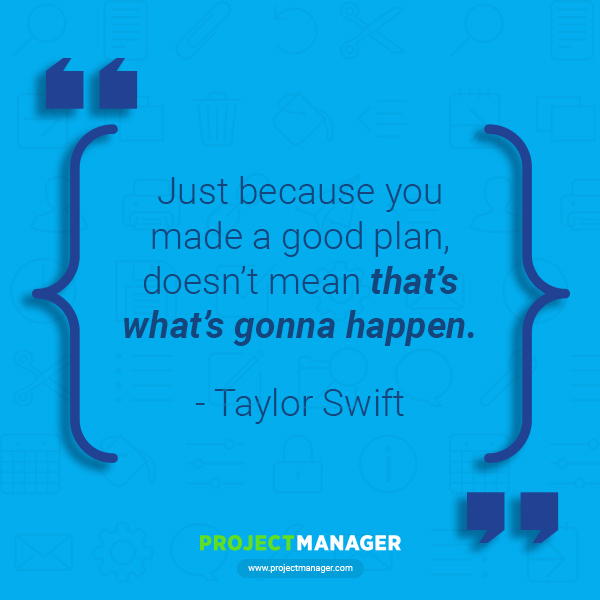 Singer, songwriter and all-around cultural phenom Taylor Swift knows that a good plan is a good start. But if you want to finish what you started you might have to throw that plan out and make a new one. Things change, including your plan. 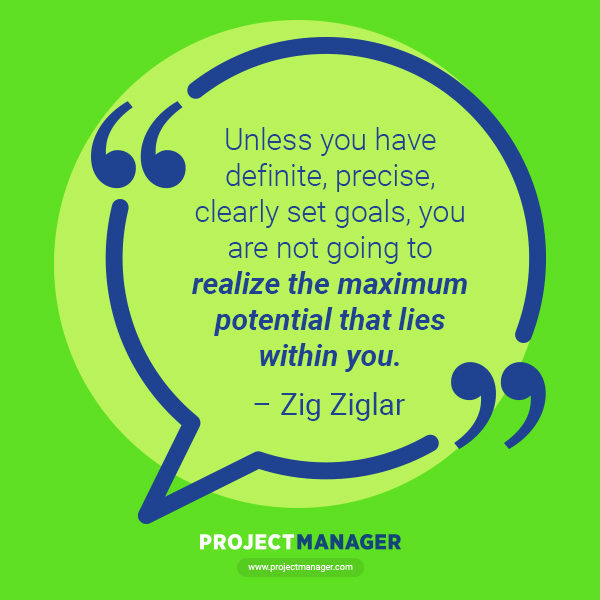 Motivational speaker Zig Ziglar says that the sharper your focus, the closer you’ll come to hitting your target. 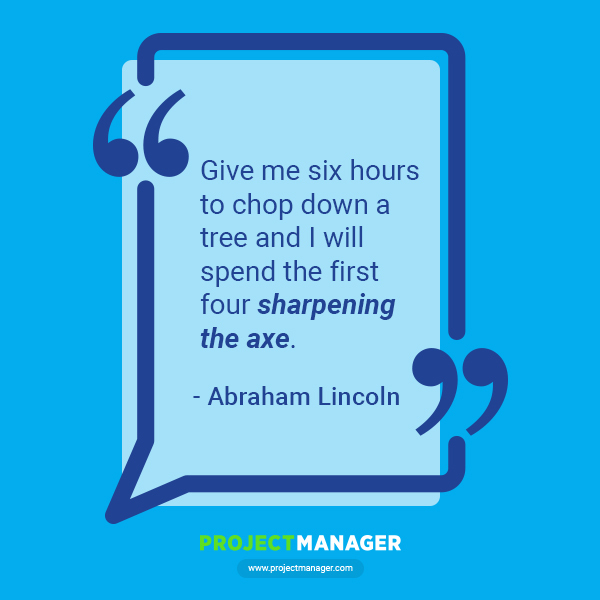 Planning must be thorough, thinking through all the resources you’ll need, the budget and the time you must complete the project. 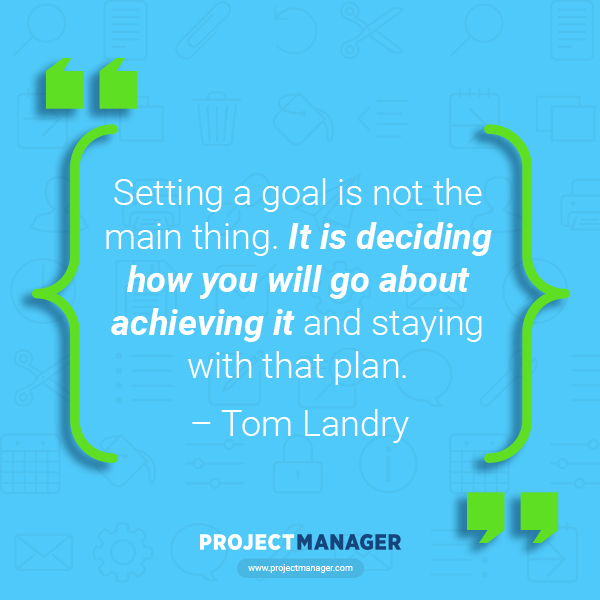 The more planning you do, the better your results. Creating the telephone took planning. 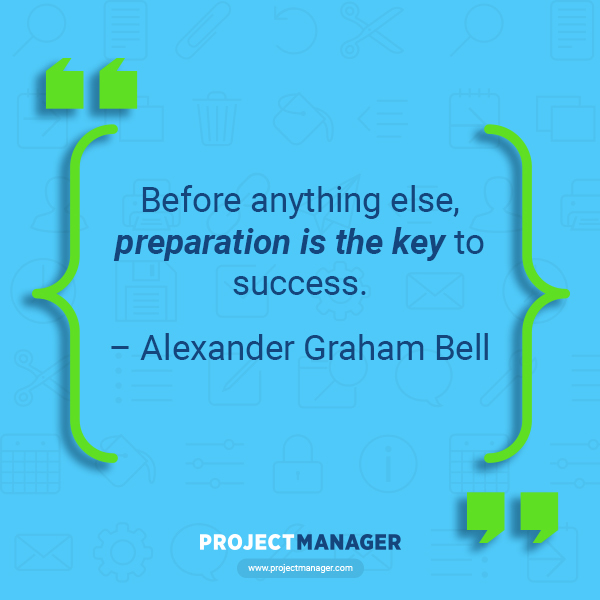 Alexander Graham Bell might have had his eye on the prize, but he understood the need to prepare for the process that would get him there. It’s funny because it’s true. Composer and conductor Leonard Bernstein knows that plans are everything; we can work them up to be as thorough as possible, but time will always make a joke of our plans. Things happen; time doesn’t care. Jerry Brown has lead one of the largest states in the union and one of the largest economies in the world as governor of California. He’s probably seen a lot of wheel spinning that has never touch ground to lead to action. 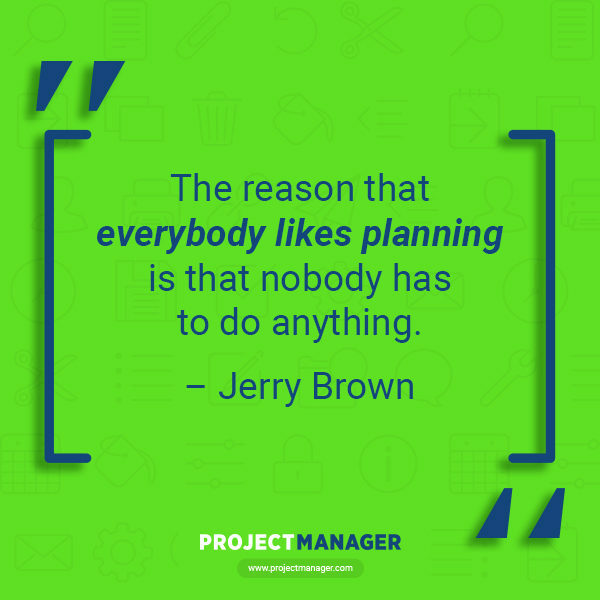 It’s a danger of planning that everyone should be aware of: plans are crucial, but without action they’re nothing. Director Spike Lee is making a point. Of course, his work is driven by a passionate dream to create stories that he feels compelled to tell. But without having a plan, that’s all they would be, dreams. The entrepreneur who founded Baby Einstein hits on a key element of any strong plan. That is prioritization. A plan should be exhaustive, listing everything, no matter how minute. But then comes the hard part of prioritizing those tasks to know what must be done, what should be done and what could be left undone. Related: What is OKR, and Why Are Top Companies Using It to Set Objectives? Planning is the structuring of process. Failure is a part of every plan. 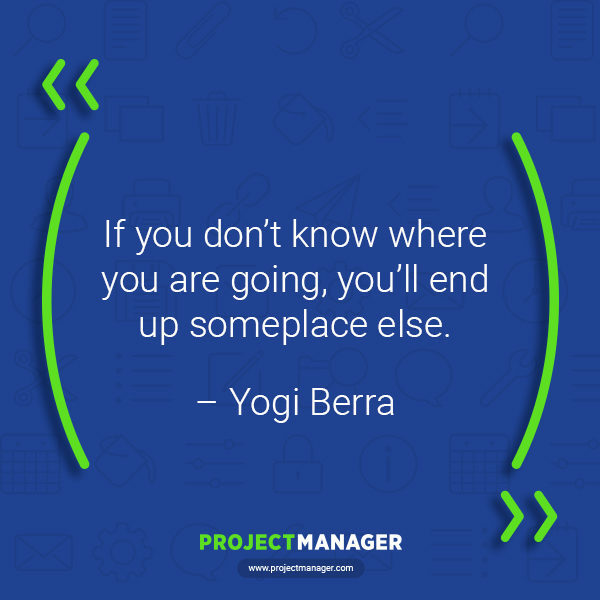 That’s why there’s risk and risk management to prepare for the bumps on the road to success. 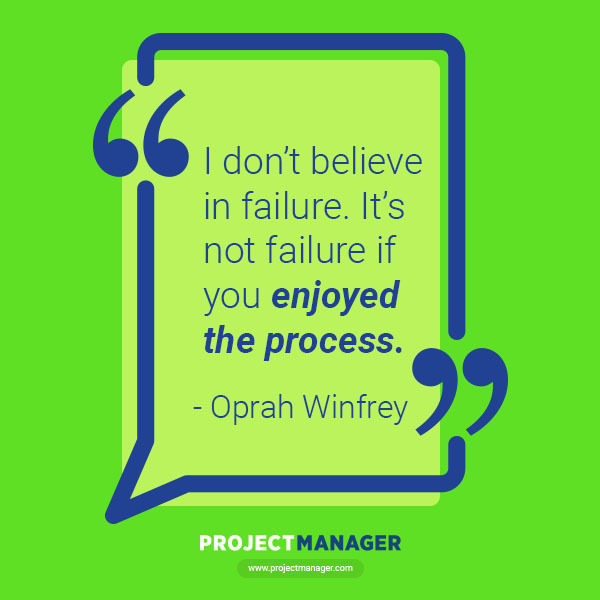 As Oprah Winfrey notes, those failures are not failures; they’re part of the process. The theory of evolution has been used to explain a lot of things, but let’s let the scientist who came up with idea from his observations have the last word. Charles Darwin might not be speaking about planning per se, but he understands that without being flexible all plans will break. 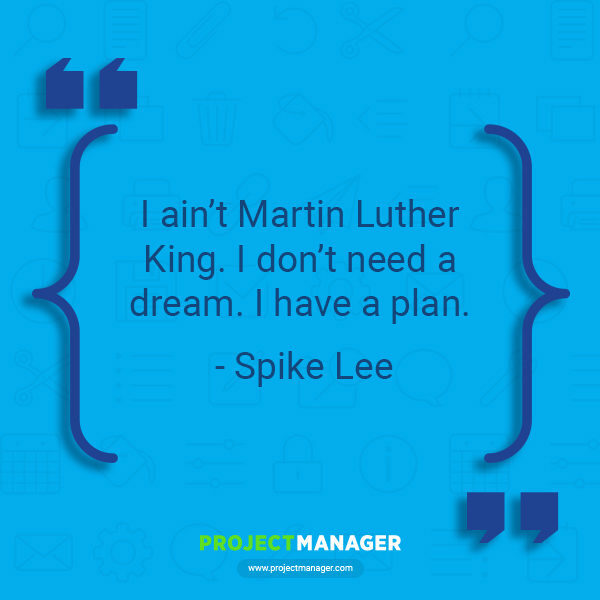 Did these quotes inspire you to get to planning? Great! Now you’ll want to have some practical tools to get the job done more efficiently. ProjectManager.com is a cloud-based project management software that gives you the online Gantt charts to schedule those plans and collaborate with your team for when they need adjusting. Also, our real-time dashboard helps you monitor and report on project progress without any unnecessary delays. Plan for success by taking this free 30-day trial today. 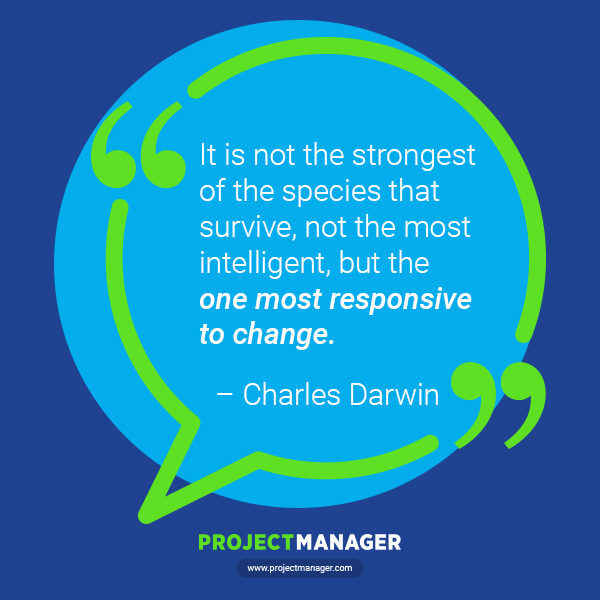 Leadership vs. Management, What's the Difference?